Dan and Amy Cahill finally think it’s over and they can go back to having a normal kind of life, or at least as normal as can be. Then strange things start to happen, men attack them out of nowhere and suddenly their whole lives are under attack. A tiny mistake has lead them to a terrible catastrophe that could endanger the whole world. At first they think there is no way what they think has happened could possibly have happened, but when they put everything together, there is no way around it. Someone has stolen the serum and that someone will stop at nothing to rule the world and if that means getting rid of Dan and Amy permanently then thats what they will do. The Cahill’s find themselves on the run, just to survive before they can go on the offensive. 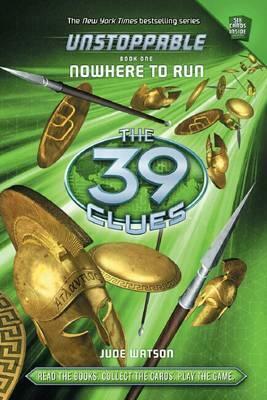 It is possible that you could think the 39 Clues franchise has run it’s course, but this takes it to a whole other place. The thing they spent so long fighting against is actually happening, from an unexpected direction. It will be interesting to see how this new enemy effects the group dynamic. Amy has relationships to work through as well as the responsibility of being the head of the family and she wants to protect as many people as she can, but that isn’t really possible. Dan has to decide if he really wants in this still. Loads of favourite characters are here, both good and bad ones as well as a new and powerful enemy. This enemy fights differently though, this enemy throws the media under his control at the problem meaning the Cahill’s have to fight this battle on two fronts, the one that paints them as tearaway, wealthy brats and the real fight.